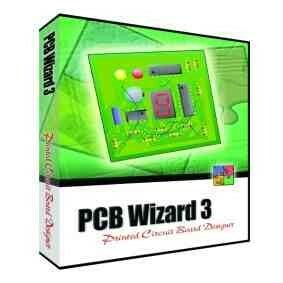 PCB Wizard 3 is a powerful package for designing single-sided and double-sided printed circuit boards (PCBs). 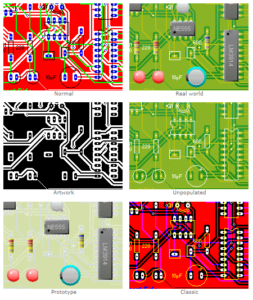 It provides a comprehensive range of tools covering all the traditional steps in PCB production, including schematic drawing, schematic capture, component placement, automatic routing, Bill of Materials reporting and file generation for manufacturing. In addition, PCB Wizard 3 offers a wealth of clever new features that do away with the steep learning curve normally associated with PCB packages. Order Code: N/A. Category: Circuit Design & PCB Layout Software. 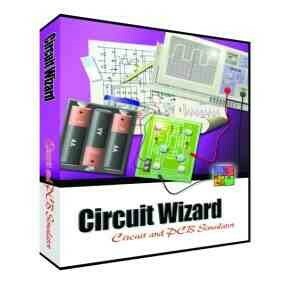 Tags: PCB Wizard, PCB Wizard 3 Software Download. 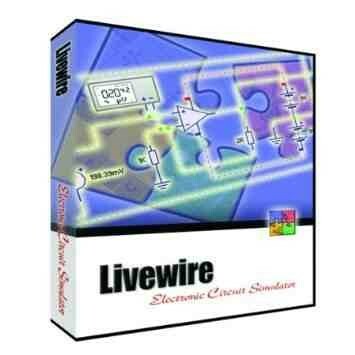 • Import circuits from Livewire. The software requires Microsoft Windows 95, 98, ME, NT 4.0 (with SP6), 2000, XP, Vista or Windows 7/8/10. User guide and instructions are included within the software. Designing Circuit Boards—To design a circuit board, simply drag and drop components onto your document and connect them together using the intelligent wiring tool. Then select the menu option ‘Convert to PCB’ and leave PCB Wizard 3 to do the rest for you. If you want to simulate your design before turning it into a circuit board, PCB Wizard 3 offers tight integration with Control Studio 2 and Livewire. Automatic Routing—PCB Wizard 3 includes an advanced automatic router that is able to route single-layer and double-layer boards. Available with a brand new ‘rip-up and retry’ algorithm rather than the ‘single-pass’ method used in previous versions, PCB Wizard 3 achieves extremely high completion rates by going back and re-routing nets to make space for connections that could not be routed on a previous pass. Note that the Standard edition supports single-sided routing only. Style Views—Styles are a powerful PCB Wizard 3 feature that greatly simplifies the process of viewing circuits. They are particularly useful when assembling and soldering circuit boards. The styles themselves are simply combinations of various display options that alter how the circuit looks. By clicking on the different preset style settings you can see a board in ‘Real-world’ (3D look), ‘Artwork’ (finished film), ‘Unpopulated’ (board without components) and ‘Prototype’ (pre-production board) views. Copper Pour—PCB Wizard 3 features a powerful new copper pour system that can help to reduce your manufacturing costs by minimizing the amount of etching solution required. To use it, all you have to do is insert a copper area on your board and any pad or track inside the selected area will be automatically surrounded with a gap of the desired size. As you update your design, the copper area is re-calculated. CAD/CAM—PCB Wizard 3 provides support for a number of different manufacturing output formats. You can produce Excellon Drill files for numerically controlled (N.C.) drilling machines as well as generate data files for third party software, thus enabling PCBs to be machined without the need for chemical etching. PCB Wizard 3 can also produce the industry standard RS-274D and RS-274X Gerber files for sending to board manufacturers. Report Generation—As with Livewire, a Bill of Materials spreadsheet can be produced containing properties assigned to the components in your design. PCB Wizard 3 lets you define the exact format of the report and it is possible to total up numeric properties for costings, and so forth.